The Grand Lodge of British Freemasons in Germany > What is Freemasonry? Freemasonry is one of the world’s oldest secular fraternal societies. This explanation may correct some misconceptions. Freemasonry is not a religion, nor is it a substitute for religion. Its essential qualification opens it to men of many religions who believe in the existence of a supreme being. It expects them to continue to follow their own faith. It does not allow religion to be discussed at its meeting. Freemasons are taught to practice charity and to care, not only for their own, but also for the community as a whole, both by charitable giving and by voluntary efforts and works as individuals. This work continues today. In addition, large sums are given by various Grand Lodges and individual Lodges to national and local charities. Freemasonry demands from its members a respect for, and that they will adhere to, the law of the country in which they work and live. Its principles do not in any way conflict with its members’ duties as citizens but should strengthen them in fulfilling their public and private responsibilities. The use by a Freemason of his membership to promote his own or anyone else’s business, professional or personal interests is strictly prohibited, and is contrary to the conditions on which he sought admission to Freemasonry. His duty as a citizen must always prevail over any obligation to other Freemasons and any attempt to shield a Freemason who has acted dishonourably or unlawfully is contrary to this prime duty. The secrets of Freemasonry are concerned with its traditional modes of recognition. It is not a secret society, since all members are free to acknowledge their membership and will do so in response to enquiries for respectable reasons. Its constitutions and rules are available to the public. There is no secret about any of its aims and principles. Like many other societies, it regards some of its internal affairs as private matters for its members. Its ceremonies are private. Freemasonry is not a secret society. In ordinary conversation there is very little about Freemasonry that may not be discussed. Freemasonry is non-political and the discussion of politics at Masonic meetings is forbidden. Our fraternity has a wonderful history, which dates back much more than three centuries. It is one of the world’s oldest secular fraternities, a society of men concerned with moral and spiritual values. Founded on the three great principles of Brotherly Love, Relief, and Truth, it aims to bring together men of goodwill, regardless of background and differences. People might think that to become a Freemason is quite difficult. It’s actually straightforward. Any man of more than 21 years of age who cares for the world in which we live; who is prepared to practise high moral standards and seeks excellence in all he undertakes; someone who believes in family values, who is willing to contribute to the betterment of society; a law-abiding citizen, who seeks the fellowship of like-minded men; a person who believes in the equality of all men regardless of social orientation, race or creed and in the existence of a supreme being; may apply for membership. Today Freemasons are speaking out to spread their beliefs in a world which many feels has moved away from standards which foster a caring community and ideals which nurture a better world. Membership of Freemasonry is open to men of all faiths who are law-abiding, of good character and who acknowledge a belief in a Supreme Being. Freemasonry is a multi-racial and multi-cultural organization. It has attracted men of goodwill from all sectors of the community into its membership. 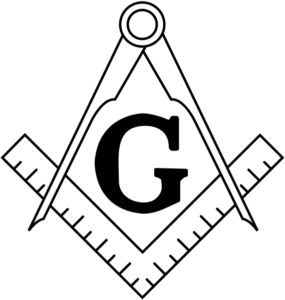 People become Freemasons for a variety of reasons, some as the result of family tradition, others upon the introduction of a friend or out of a curiosity to know what it is all about. Men who are seeking for a means of personal betterment and improvement. Those who become active members and who grow in Freemasonry do so principally because they enjoy it, they enjoy the challenges and fellowship that Freemasonry offers. There is more to it, however than just enjoyment. Participation in the dramatic presentation of moral lessons and in the working of a lodge provides a member with a unique opportunity to learn more about himself and encourages him to live in such a way that he will always be in search of becoming a better man, not better than someone else but better than he himself would otherwise be and therefore an exemplary member of society. Each Freemason is required to learn and show humility through initiation. Then, by progression through a series of degrees, he gains insight into increasingly complex moral and philosophical concepts, and accepts a variety of challenges and responsibilities, which are both stimulating and rewarding. The structure and working of the lodge and the sequence of ceremonial events, which are usually followed by social gatherings, offer members a framework for companionship, teamwork, character development and enjoyment of shared experiences. New members make solemn promises concerning their conduct in the lodge and society. These promises are similar to those taken in court or upon entering the armed services or many other organizations. Each member also promises to keep confidential the traditional methods of proving he is a Freemason, which he would use when visiting a lodge where he is not known. There is nothing however in these promises, contrary to his civil, moral or religious duties. The much-publicized ‘traditional penalties’ for failure to observe these undertakings have been removed from the promises. They were always symbolic not literal and refer only to the moral pain any decent man should feel at the thought of violating his word. The principles of Freemasonry do not in any way conflict with its members’ duties as citizens, whether at work or at home or in public life, but on the contrary, should strengthen them in fulfilling their public and private responsibilities. Thus there is no conflict of interest between a Freemason’s obligation and his public duty. If an actual or potential conflict of duties or interests is known to exist or is foreseen, a declaration to that effect should be made. It may on occasions be prudent to disclose membership to avoid what others mistakenly imagine to be a potential conflict or bias, but this must be a matter for individual judgment. A Freemason must not use his membership to promote his own or anyone else’s business, professional or personal interests. This is made clear directly or by inference several times during a Freemason’s early career so that no Freemason can pretend to be ignorant of it. A Freemason who transgresses this rule may be suspended from Masonic activities or even expelled. A Freemason’s duty as a citizen must always prevail over any obligation to other Freemasons, and any attempt to shield a Freemason who has acted dishonorably or unlawfully, or to confer an unfair advantage on another Freemason is contrary to this prime duty. Freemasonry should not be allowed to harm a man’s family or other connections by taking too much of his time or his money or causing him to act in any way against their interests. The Grand Lodge of British Freemasons in Germany is one of five Partner Grand Lodges within The United Grand Lodges of Germany. The Grand Lodge has excellent relationships with the other four Grand Lodges. We are an internationally recognized Masonic Body and have fraternal relations with all recognized Grand Lodges. We have a special relationship with the Grand Lodges of Scotland, England, and Ireland. We work mostly in the English Masonic Ritual but have a Lodge, which works a Scottish Ritual. There are 16 Lodges within the Grand Lodge of British Freemasons in Germany. These Lodges meet in various places throughout Germany as listed below.